Synthesizing thirty years of research, psychologist and science historian Michael Shermer upends the traditional thinking about how humans form beliefs about the world. Simply put, beliefs come first and explanations for beliefs follow. The brain, Shermer argues, is a belief engine. Using sensory data that flow in through the senses, the brain naturally begins to look for and find patterns, and then infuses those patterns with meaning, forming beliefs. Once beliefs are formed the brain begins to look for and find confirmatory evidence in support of those beliefs, accelerating the process of reinforcing them, and round and round the process goes in a positive-feedback loop. 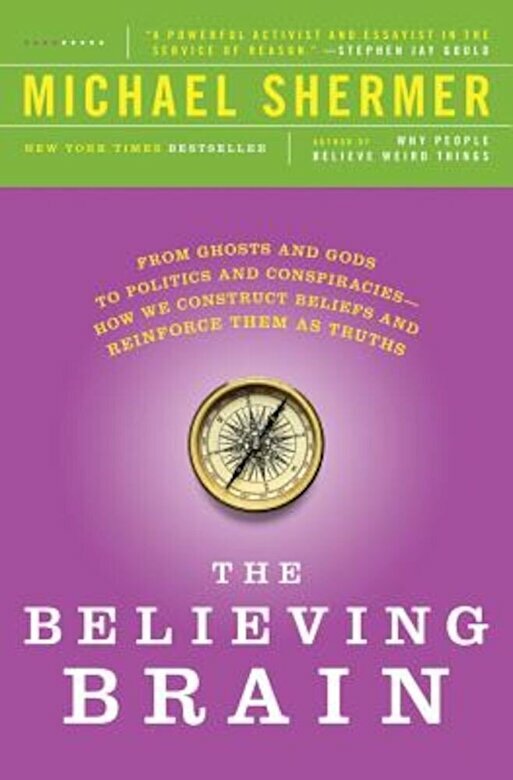 In The Believing Brain, Shermer provides countless real-world examples of how this process operates, from politics, economics, and religion to conspiracy theories, the supernatural, and the paranormal. And ultimately, he demonstrates why science is the best tool ever devised to determine whether or not our beliefs match reality.